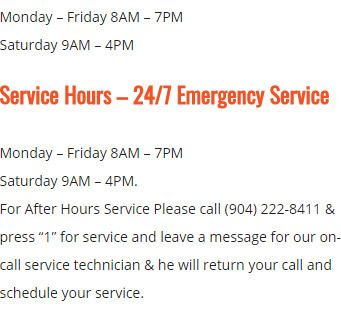 Schedule 24 Hour Emergency AC & Heating Repair in Jacksonville – Call Us Now! At Ocean State Air Conditioning & Heating, customer satisfaction is our highest priority. We provide a full array of furnace and AC services for both business and residential customers. We will help keep your heating and AC equipment operating reliably while maintaining a comfortable and quiet indoor environment. We recognize the frustration most customers feel when an HVAC unit is broken, especially during harsh weather. Our staff is trained to respond quickly to every furnace or AC service inquiry, and we have the manpower and resources to address each call in a timely manner. 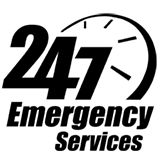 Our customers have the peace of mind that comes from knowing that we offer 24-hour critical care service for emergency situations.